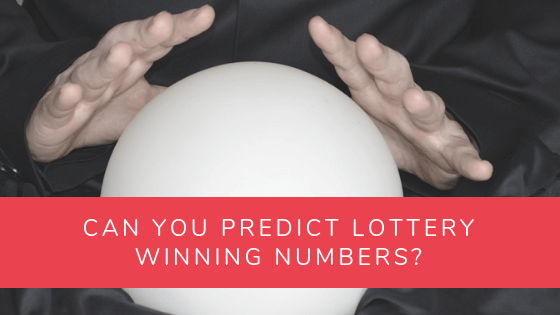 Can You Predict Lottery Winning Numbers? Can Machine Learning Predict the Lottery? Every lottery player has had the same thought: is it possible to predict the next winning numbers? Common sense says no. Wishful thinking says yes. After all, if it were possible, everybody would already be swimming in piles of money and lotteries would probably cease to exist altogether. But since lottery numbers are drawn randomly, there’s no way to accurately predict the exact numbers. Hold on. What if you could predict which numbers are most likely to be drawn and which aren’t? It’s one step closer to winning! Two mathematicians have studied this and both have come to two different conclusions. Meet Renato Gianella and Dr. John Haigh. In Brazilian mathematician Renato Gianella’s studies, The Geometry of Chance: Lotto Numbers Follow a Predicted Pattern, he finds that not every number combination has an equal chance of being drawn. That is, some combinations are more likely to be drawn than others—and that it is entirely possible to see what those patterns are. This is huge. Renato Gianella built a website where you could see the number combinations likely to win. Gianella’s theory posits that winning numbers from previous draws hold discernible patterns that can inform what number combinations are most likely to be drawn next. So, why doesn’t everybody do this? You need to have some understanding of probability theories and complex math before you can take full advantage of it. Not many of us do! 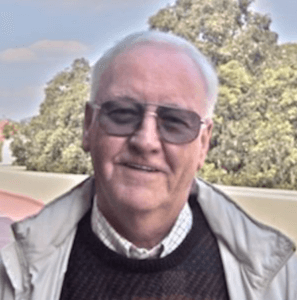 Sussex University’s emeritus reader in math Dr. John Haigh has a slightly different idea—though it still draws on probabilities. He claims that if you choose a number combination that gives off a total of 200, your chances of winning can increase significantly. It may sound like a pitch from a snake oil salesman, but there’s actually a logic behind it. Unlike Renato Gianella, Dr. Haigh believes that each number combination is equally likely to be drawn. He does, however, suggest that what people need to be doing is to figure out which number combinations people are more likely to choose—and then choose something entirely different. How does this help you win? Technically it doesn’t—but if your numbers do end up being drawn, it helps you win bigger. Because you chose numbers that most people don’t choose, there’s a good chance that you won’t have to share the pot with anyone else. Dr. Haigh advises against choosing birthday numbers, lucky numbers (which are mostly in the single digits), and other possible number combinations that most people go for. He also advises not to choose a row of numbers, like 1-6, as well as the previous week’s numbers. In other words, choose numbers that don’t form an obvious pattern. With all the rapid advancements in machine learning, couldn’t a machine—or a supercomputer—accurately predict the upcoming numbers? Unfortunately, it’s impossible, according to UCLA’s Professor Emeritus of statistics Donald Ylvisaker. There is no machine capable of doing that—not today, not tomorrow. According to Donald Ylvisaker, building a machine capable of predicting lottery numbers is impossible. 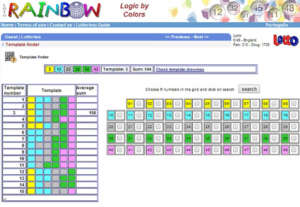 Lotteries rely heavily on randomness, and the random number generators that lotteries use have become more sophisticated over time. 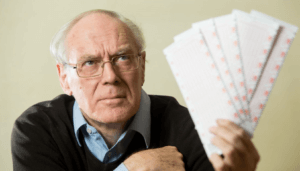 Ylvisaker, who monitors lottery drawings to ensure their fairness, says that lotteries use different number generating machines for each draw. So, because the machines are different each time, it’s too difficult to gather enough usable data for building a device capable of predicting lotto numbers. The professor also points out that the amount of data needed for such an endeavor is quite prohibitive. To put it simply, you are looking at trillions of possible combinations. It’s an impossible task. Luck has always been the most crucial ingredient when it comes to winning lotteries. If you don’t have it, you don’t win. It’s that simple. Many people have won big at the lottery without having to turn to complex equations or probabilities. They just picked whatever numbers they thought would win. Heck, some people won by picking the numbers in a fortune cookie! Next time you eat takeout Chinese food and crack open a fortune cookie, don’t immediately dismiss the numbers it recommends. You never know! Sure, there’s no harm in trying out different ways of narrowing down your choices. You do, however, have to understand that there is no guarantee of winning if you follow the suggestions of Renato Gianella or Dr. John Haigh. In the end, there is no way to “cheat” randomness.